Several water test bundles are available. 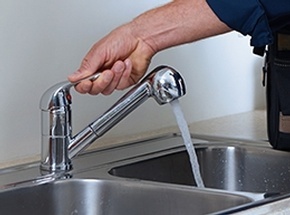 Whether you have a well or municipal water supplied to your home a water quality test can bring you peace of mind that you and your family are drinking water that is safe. Certified Home Inspectors at Right Way Home Inspection Services LLC offers Water Quality Testing and other home inspection services to clients across Wynantskill, Albany, Saratoga, Rensselaer, Schenectady, Columbia, Washington, Troy.